The starter culture of thermophilic lactic bacteria is a granular nutritional mixture of wheat mill offals sowed with living cells of thermophilic lactic bacteria isolated from compost by means of fermenting organic waste. The strains are deposited to the Departmental Agricultural Collection of Useful Organisms of Rosselkhozakademiya (DCAM). Thermophilic lactic bacteria are a mass of cells and their by-products which destroy cellulose, proteins, lipids, and their derivatives. These bacteria also produce organic acids to suppress the development of pathogen and saprogenic bacterial population. Thermophilic bacteria are used to speed up the process of composting, to increase microbiological activity, and to decrease the threat of possible presence of hazardous agents in the organic waste. Preparation of starter culture. 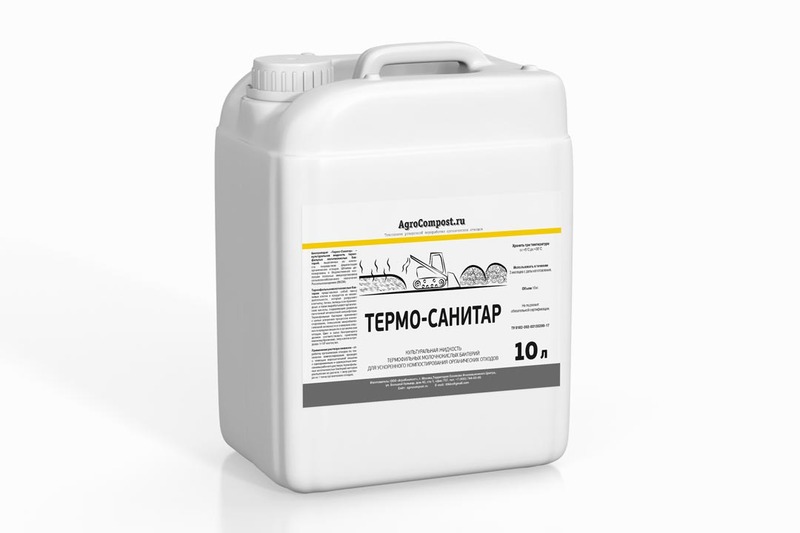 According to the user manual, 10 kg of the starter culture is cultivated in Termo-Inkubator and 500 litres of liquid process solution of thermophilic lactic bacteria are obtained with cell titre within 1×108 cells/mL. Use of the starter culture solution: organic waste from composting technology is managed by means of agitation vehicle with the simultaneous and single treatment of process solution of thermophilic lactic bacteria which are sprayed in an amount of 1 litre of solution to 1 ton of organic waste. Store at a temperature from – 25ºC to + 35ºC. Use within 2 years from the date of production. Is not a subject to obligatory certification. 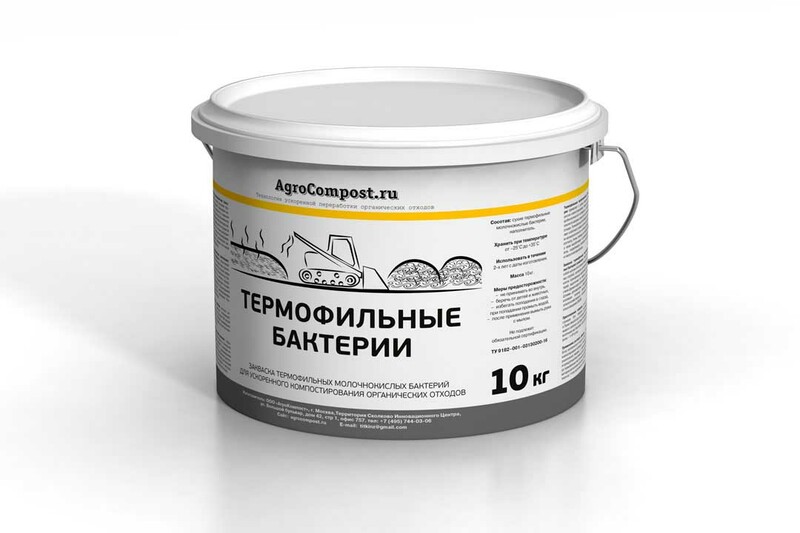 The Termo-Sanitar biological product is in vitro liquid of thermophilic lactic bacteria isolated from compost by fermenting organic waste. The strains are deposited to the Departmental Agricultural Collection of Useful Organisms of Rosselkhozakademiya (DCAM). Thermophilic lactic bacteria are a mass of cells and their by-products which destroy cellulose, proteins, lipids, and their derivatives. These bacteria also produce organic acids to suppress the development of pathogen and saprogenic bacterial population. Thermophilic bacteria are used to speed up the process of composting, to increase microbiological activity, and to decrease the threat of possible presence of hazardous agents in the organic waste. The colour and odour of the product should conform to the nice ones when kvass is fermented. Cell titre is within 1×108 cells/mL. Store at a temperature from + 5ºC to + 35ºC. Use within 3 months from the date of production.